Our brand new Guardian Early Learning – Mulgrave threw open the doors to its fantastic environments in early September. Conveniently located on Wellington Road, the centre has been designed with a focus on natural materials and green spaces. Our huge wooden structure at the centre of our outdoor area ignites children’s imaginations and on any given day can be imagined into a spaceship, house, or fort – whatever the children dream up! The on-site cook creates healthy and delicious meals for the children and the team of passionate early learning professionals support children as they learn and grow. 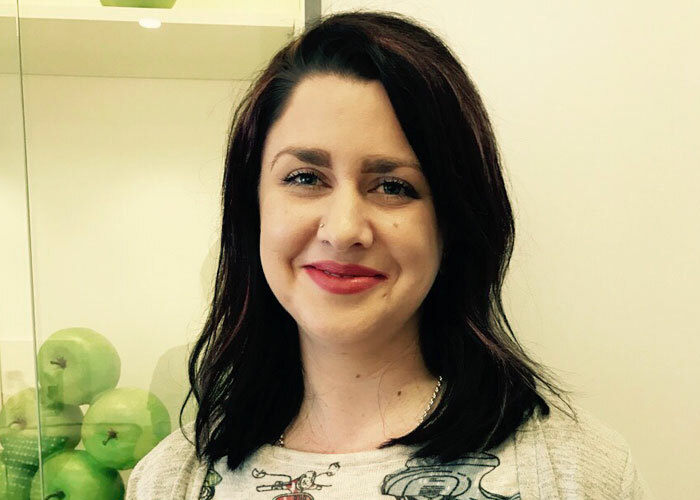 Leading the team at Guardian Early Learning – Mulgrave is Centre Manager Alyce Mardell. We take two minutes with Alyce to find out more about her. What inspires you in relationship to your leadership approach? My leadership approach is inspired by supporting, challenging and encouaging each team member to reach their full potential. I do this by finding strengths in each educator which in turn helps to support the team overall. I feel it is important as a leader to ensure you are always empowering your team; this creates a cycle of continuous improvement, professional development, challenge of thinking and most importantly building strong future leaders in the sector. Tell us about your professional view on children’s learning. I strongly believe that children, much like adults, learn very differently from one another and you cannot put children’s learning in a perfect box. There are children that learn through technology, systematically, creatively, physical movement, senses (hearing, listening and conversations), role modelling/role playing and alone/group or parallel interactions. It is about knowing each child individually and finding ways to accommodate their specific style of learning to support their interests and developmental needs. I believe children’s learning thrives when the environment has a safe, secure and warm atmosphere and children are treated with dignity and respect at all times. When you feel a sense of belonging it allows children to find the confidence to explore, investigate and hypothesise with their peers and educators. What role do children’s ideas and interests have in developing the curriculum? Children’s interests are vital in the building of a curriculum. If children’s interests are not embedded in the curriculum then children will not want to engage and learning will become something they need to do versus want to do. It is important to spend the early stages building relationships with the children and families – this creates a foundation where children are respected for their learning styles and seen as strong capable learners. It is also important to include intentional teaching, based off of children’s interests, to ensure the learning is continually challenging for children and meeting their developmental needs and interests. How long have you been working in early education and care? I have worked in a variety of roles within the early childhood sector for the best part of ten years. What’s the most rewarding part of being an early childhood professional? The most rewarding part of being an early childhood professional is watching children learn, develop and grow. Building strong relationships with the children and their families and the proud moment we have when children “graduate” from the Kinder program and leave to go to school is also a great highlight of mine. When did you join Guardian Early Learning – Mulgrave? I began at Guardian Mulgrave during the pre-opening stages. This has been a very exciting time as I was able to carefully select a team of educators as well as the resources you see throughout the centre. Having the ability to choose a strong team of educators as well as the educational resources to build a high quality curriculum program from the beginning has been a privilege.This also adds to the community feel when you visit the centre. What has most surprised you in your work with children? Children amaze me every day and I believe as much as children learn from us, we too learn from children. The concepts and theories children come up with through their play both surprises me and excites me as we explore all the possibilities children create. Can you share a time where you have included children in decision making and embraced their participation in meaningful ways? I believe that building confident decision making in children from an early age is important for children’s development but also an aspect of showing care and respect. I have both supported and implemented progressive meal times for children where meals will be available for extended periods of time to allow children to complete an experience they are engaged in or simply wait a little longer until they are ready to eat. I’ve also supported and implemented an indoor/outdoor program whereby children are able to decide when they would like to go outside to play and also when they are ready to come back inside. These practices are important in supporting children’s decision making but also assists to create an environment where children feel respected, heard, cared for, safe and secure each day. I am super creative and can make anything you think as “junk” look like a piece of art! I am currently studying my Bachelor of Early Childhood birth to five so I can be found doing a lot of studying in my free time but I am also found catching up with friends and I love shopping and hunting for the next best coffee shop! Lastly, what do you love most about the Mulgrave community? I live close by to Mulgrave and have always viewed the community as multicultural and a close-knit community. Being in the heart of Mulgrave, we have great access to parks, Monash University, Monash Hospital, Wheelers Hill and right between the Princess and Monash Freeway exits. To find out more about this wonderful new early learning centre in Melbourne and to book a tour, head here.